Cellulose makes up most of a plant's cell walls. Since the organic compound is created by all plants, it is probably the most abundant one on the planet! While cellulose is the main building material for plants, it has many other uses, including sponges. Manufactured cellulose sponges are some of the most common cleaning sponges on the market. They often come in bright colors and are usually shaped like rectangles or ovals. Pure cellulose sponges are not as widely available as plastic ones, plus they're a bit more pricey. Cellulose sponges are made from wood fibers, and although human-made, they’re much more eco-friendly than plastic ones since they go through a less toxic manufacturing process and they biodegrade in landfills. Look for 100 percent cellulose with no polyester filling. What Are Cellulose Sponges Made From? Cellulose sponges are made from wood pulp so that small holes inside the sponge can absorb liquid and hold it inside. These sponges are soft inside their sealed packaging because they are usually treated with a soap that keeps them pliable. This treatment also keeps bacteria from growing inside the package before they are purchased. It's a good idea to rinse your sponges out thoroughly before you first use them. Where Can You Use Cellulose Sponges? 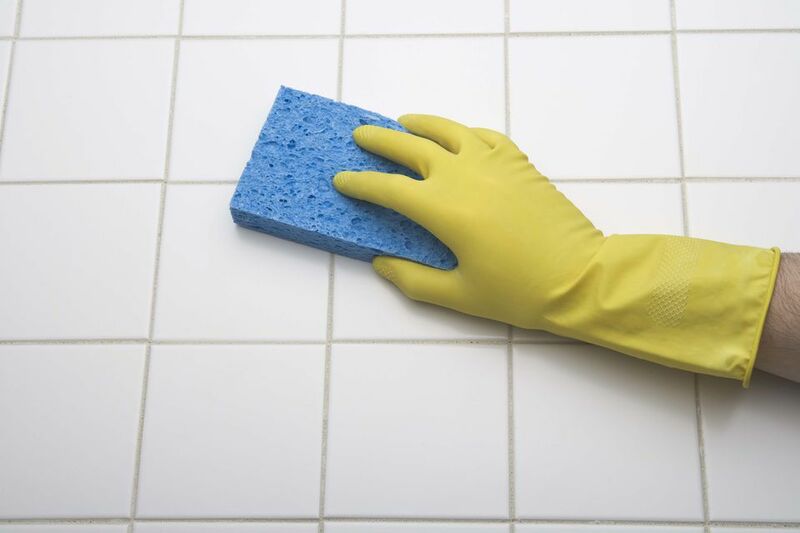 Cellulose sponges absorb and hold liquid well and can last through some fairly tough cleaning jobs. They work well on bathroom surfaces and countertops as well as dishes and everyday spills. You can even cut them into smaller sizes to provide more uses out of each sponge. Cellulose sponges tend to trap residue and particles, so they can be difficult to rinse out fully. Because they are inexpensive, it's a good idea to toss them if particles cannot be fully removed. These same particles can lessen the life of the sponge and cause it to start to break down or smell. Cellulose sponges should never be used to wipe up a raw egg or raw meat juices. For those jobs where bacteria are involved, a disposable paper towel is a better option. How Do You Clean Cellulose Sponges? Rinse sponges thoroughly after each use and allow them to dry completely open to the air. You can also run sponges through a cycle in the dishwasher on the top rack. Some people prefer to microwave their sponge for up to 30 seconds—make sure the sponge is wet; otherwise, it can catch on fire and burn in the microwave. Rinse the sponge thoroughly before allowing it to dry. A 2006 study published in the journal Food Control determined that microwaving wet sponges for two minutes (at 1000 watt power) removed 99 percent of coliforms, E. coli, and MS2 phages. It took four minutes to kill Bacillus cereus. A cellulose wipe is another version of a flatter cellulose sponge. Use these rectangular flat sponges in place of paper towels, or for dusting and polishing. They are reusable when properly cared for.